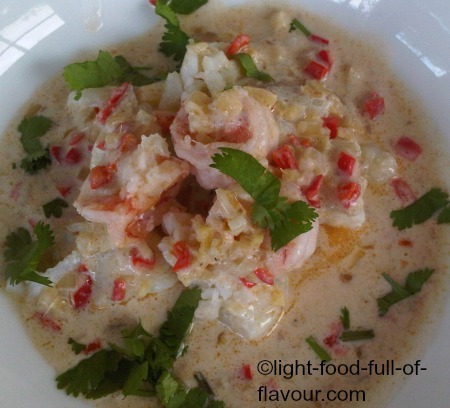 It is easy to cook light food full of flavour with fish and seafood recipes. My love for this type of food started at an early age. As an adult, I have periodically lived and worked by the sea in different parts of the world and have had access to some pretty fantastic seafood and different types of fish. 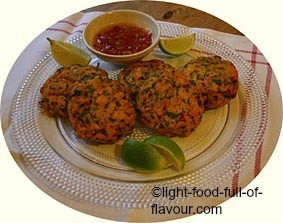 If you are looking for healthy food full of flavour, then these salmon sweet potato and chilli fishcakes really fits the bill. I love Asian food. 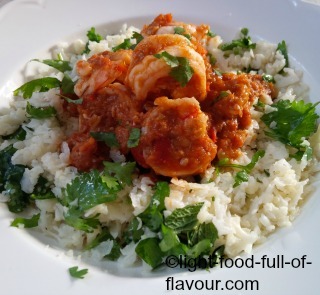 This is a recipe for super-yummy Thai-style prawns which I serve with mint, lime and coriander infused cauliflower rice. 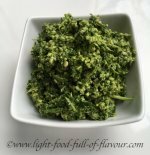 A light, healthy and super-tasty dish - wonderful summer food. 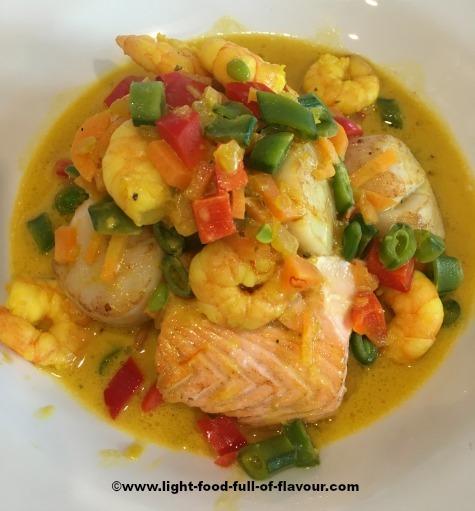 Sensationally light, fresh and tasty - this prawn and mixed fish dish is what light food full of flavour is all about. 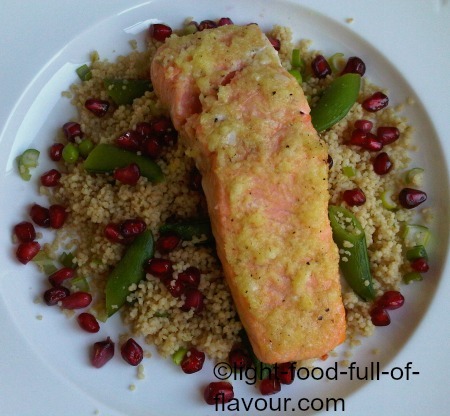 A light and healthy salmon dish with a white miso and ginger marinade. 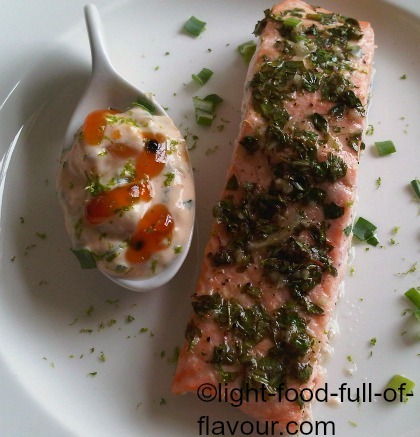 Incredibly delicious yet easy to make – this gorgeous, lightly smoked salmon dish takes very little time to get from pan to plate. Infused with saffron, luscious and light - this Swedish seafood casserole is a culinary delight. 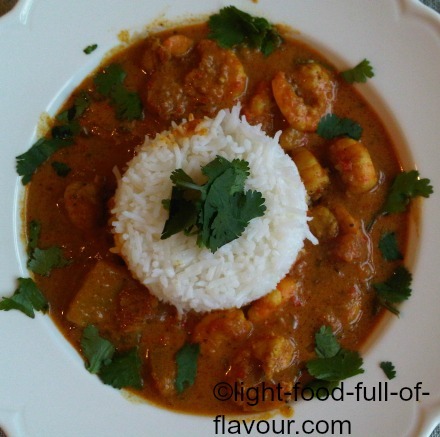 Bursting with flavour and ready to seduce you - this prawn and mango curry is super-delicious. 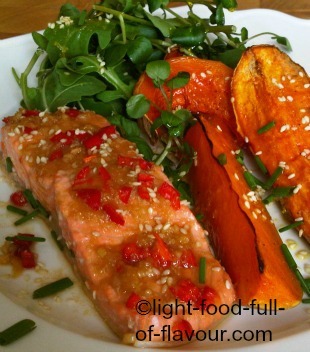 A spectacularly tasty and fresh ginger-glazed salmon dish - it's simply divine. 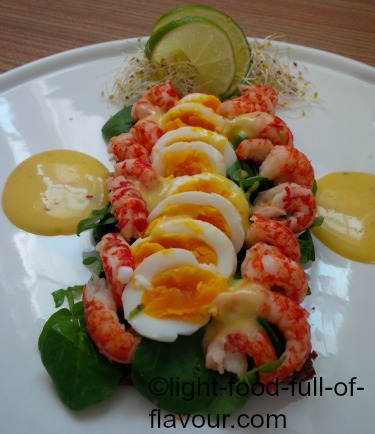 My egg and crayfish sandwich with chilli and garlic aioli is a take on a Swedish variety – egg, prawn and mayonnaise sandwich. 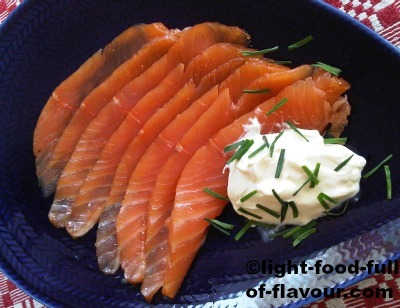 Cured salmon is light and delicious, and easy to make. 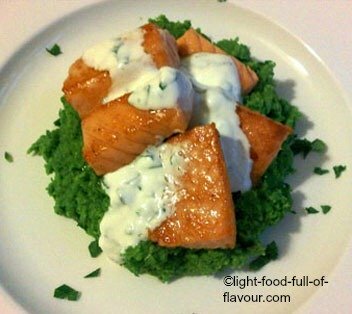 Let me show you two different ways of making this tasty fish dish. 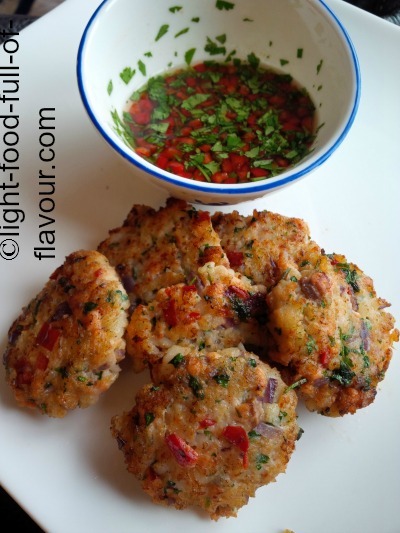 Thai-style prawn and fish cakes with a chilli sauce which are perfect to serve as a starter or as part of a buffet. 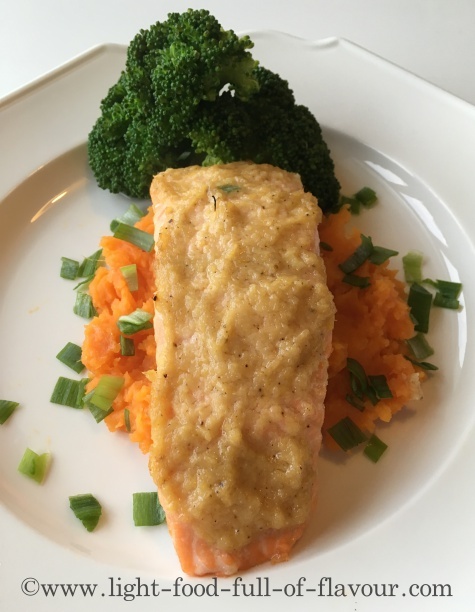 This pan-fried salmon dish is quick to make and super-tasty. 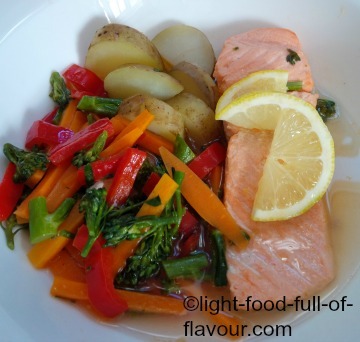 A sensationally tasty salmon dish served with a mango chutney sauce and a warm lemon and garlic infused potato salad. 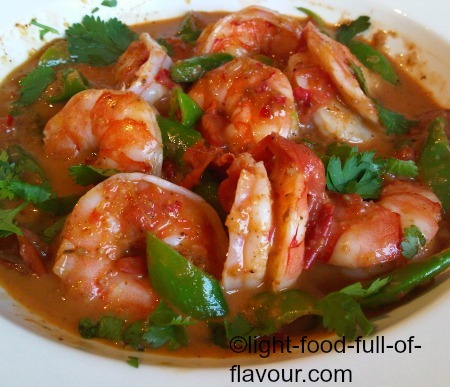 This Massaman prawn curry is a super-delicious Thai-style dish. 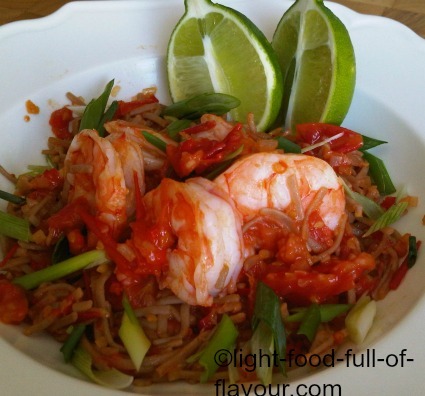 A prawn noodle stir-fry which is easy to make and utterly tasty. 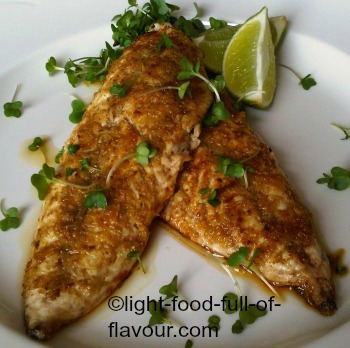 Super-tasty and healthy marinated mackerel fillets served with either a citrus couscous or a salad. 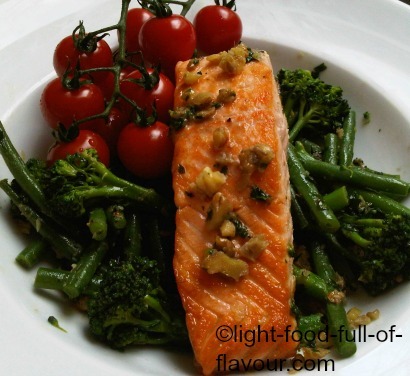 An Asian-style trout dish wich is good news for your waist-line while mega-tasty and healthy. 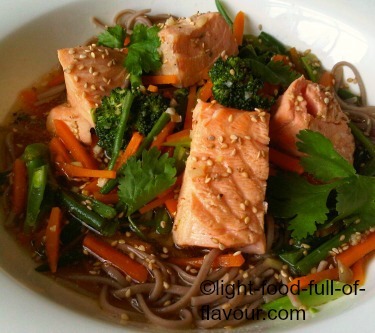 Fragrant, tasty, light and healthy salmon and noodles in an Asian-style broth. 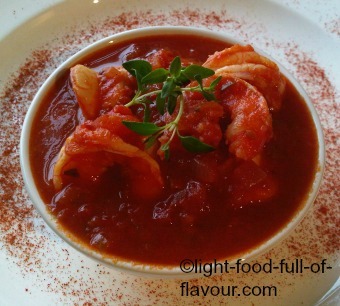 Spanish-style prawns in a smoky-hot tomato sauce which can be served either as a starter, as part of a tapas-style meal or as a main course. 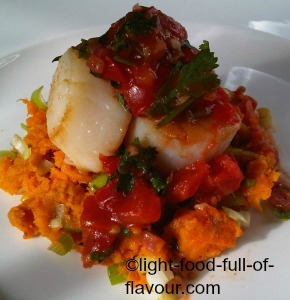 A dish to wow your friends with - scallops with spicy mash (sweet potato) and tomato salsa. 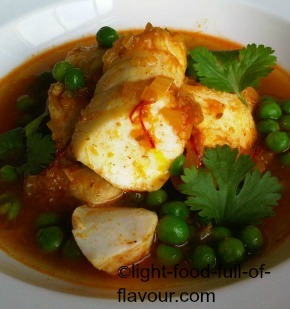 A fantastically tasty fish tagine which is perfect to serve with citrus-flavoured couscous or quinoa. 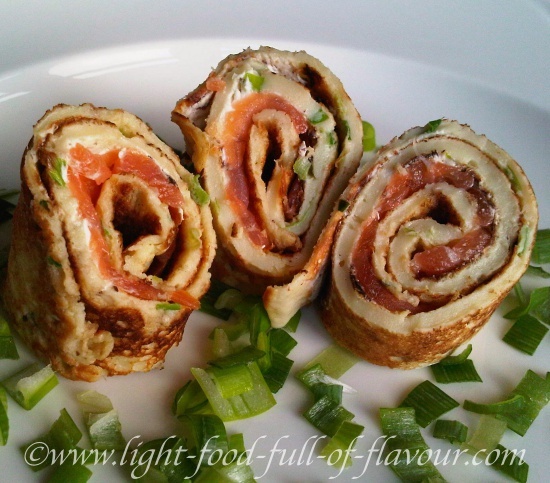 Delicious rolled crepes canapes with either a smoked salmon or smoked ham filling. 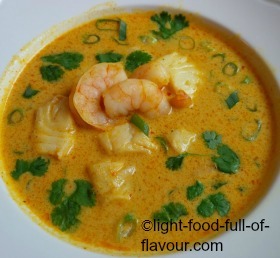 Asian-style comfort food - a mega-delicious prawn and fish laksa which is both low in calories and nutritious. 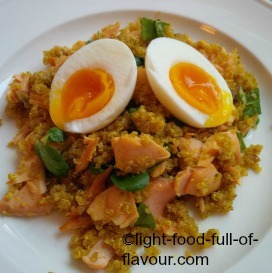 A super-tasty salmon and quinoa kedgeree which is also kind to your waistline. 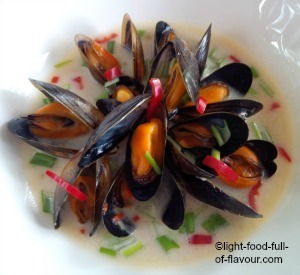 Beautiful Thai-style mussels which are as tasty as they are healthy and low in calories.